The new quad chairs on the new Beavers chairlift at Arapahoe Basin Ski Area are in view on Sunday. A skier stares down a run of fresh powder in The Beavers terrain expansion at Arapahoe Basin Ski Area. On Monday, A-Basin is scheduled to open lift-service in its newest terrain expansion. The new quad chairs on the new Beavers chairlift at Arapahoe Basin Ski Area are in view prior to the ski area's public opening of the new terrain expansion on Monday. A skier carves turns in fresh powder in The Beavers terrain expansion at Arapahoe Basin Ski Area. On Monday, A-Basin is scheduled to open lift-service in its newest terrain expansion. 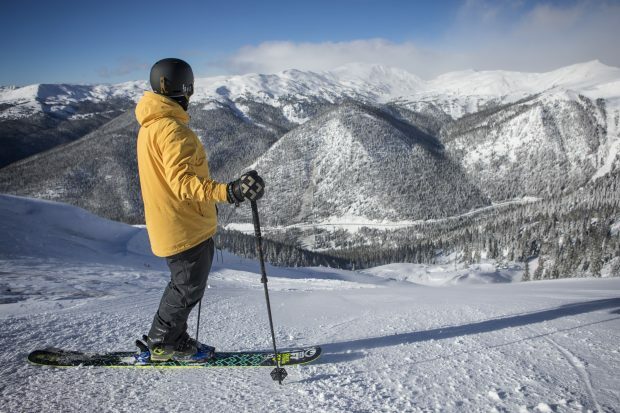 The wait is officially over for Arapahoe Basin Ski Area. 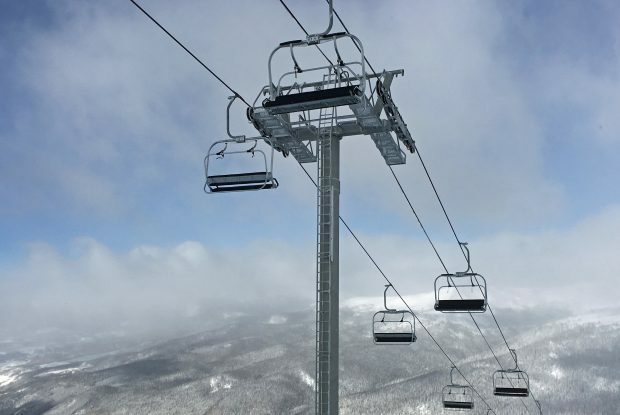 The Summit County ski area at the Continental Divide will open lift service to a portion of its 339-acre terrain expansion into The Beavers on Monday. As opposed to last year when The Beavers terrain expansion was initially only opened via hike-back access, on Monday, A-Basin’s new four-person Beavers chairlift will open mid-morning. For the rest of the season, the quad will run from 9 a.m. to 3:15 p.m. daily. The terrain expansion this year into The Beavers and the 129 acres of The Steep Gullies for A-Basin will include a total of 34 new runs, including two new intermediate groomed runs in The Beavers, open bowls and what’s expected to be some of the best glade skiing in the state. The 129 acres in The Steep Gullies — expected to be some of the most advanced and challenging terrain in Colorado — will open as soon as conditions permit, A-Basin said on Sunday. 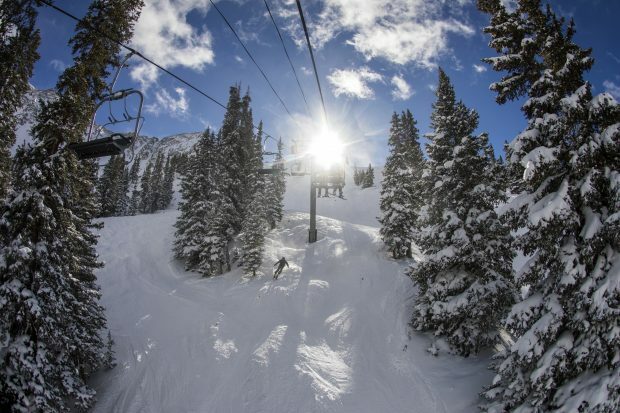 The Steep Gullies terrain will not be serviced by the new Beavers lift, as all skiers using this terrain will be required to take a 20- to 30-minute hike back to the bottom of the Pallavicini Lift, which A-Basin opened for the season on Saturday. A-Basin also on Sunday had a limited opening of its expert Pali Face and The Spine runs off of the Pallavicini lift. Henceroth said both runs should also be open on Monday around the middle of the day. “I am just beside myself with all this fun,” the COO said. For more information regarding The Beavers and Steep Gullies terrain expansion and trail map, you can click here.